It depends on what type of body mods. Lip kits IMHO must go with some nice wheels. On the other hand grills are subtle but noticeable mods that you could probably pull off with stock wheels. I would probably wait to see some more installed pics, people will slowly but surely start buying these grills and start posting pics up that will give you some time to make a level headed decision. Ok guys!! 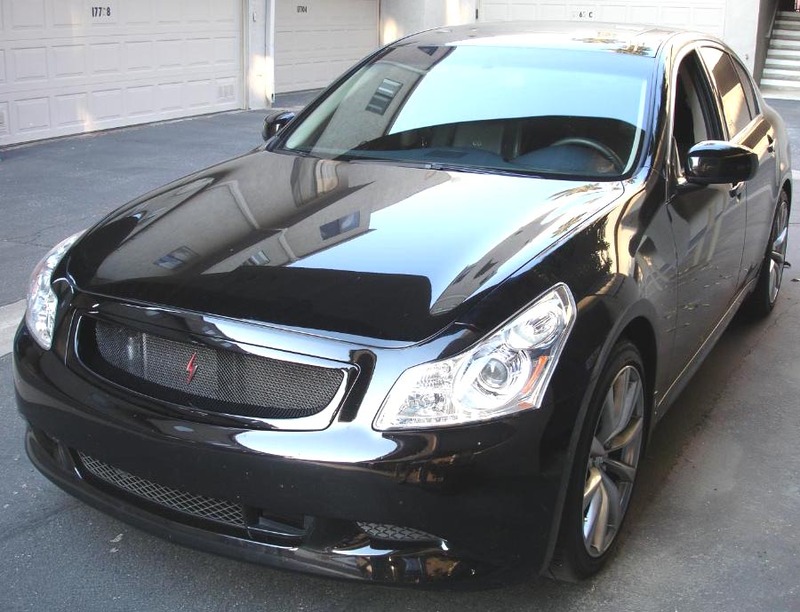 All unpainted grills have been shipped out, those were two, and one Black Obsidian grill was shipped out tonight as well. Tracking info has been sent out. Please post some pics up guys when you get a chance! Thanks for the update... lets hope they get the pearl portion of the paint right...i know the QX1 is 3 stage correct? Yeap 3 stage, good thing is that we have my coupe and it's IP as well, so we have a good benchmark for them to compare the paint to. Good news!! Just picked up the IP grills and they look awesome. I will be shipping them out tomorrow. Tuan, I'm going to pick up your IP grill tonight at 7:00 PM and will drop the grill off at UPS this same night, tracking info has been sent but it might not update until Monday because of the long holiday weekend. Rick, your unpainted grill shipped out last night. 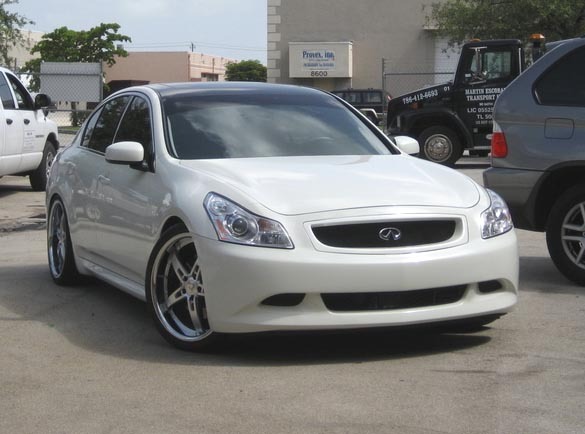 how hard is it to get the Infiniti logo put in there like the one on that grey car? can you do a LP painted grill? timeframe? 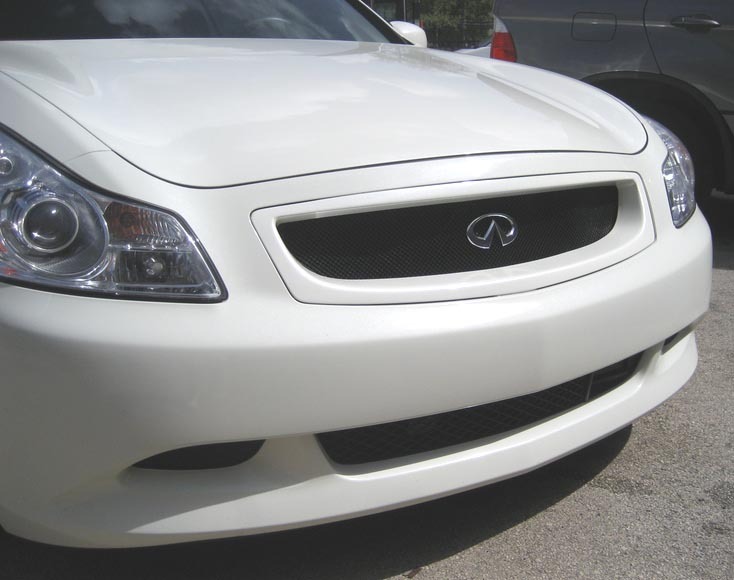 how hard is it to get the Infiniti logo put in there like the one on that grey car?can you do a LP painted grill? timeframe? 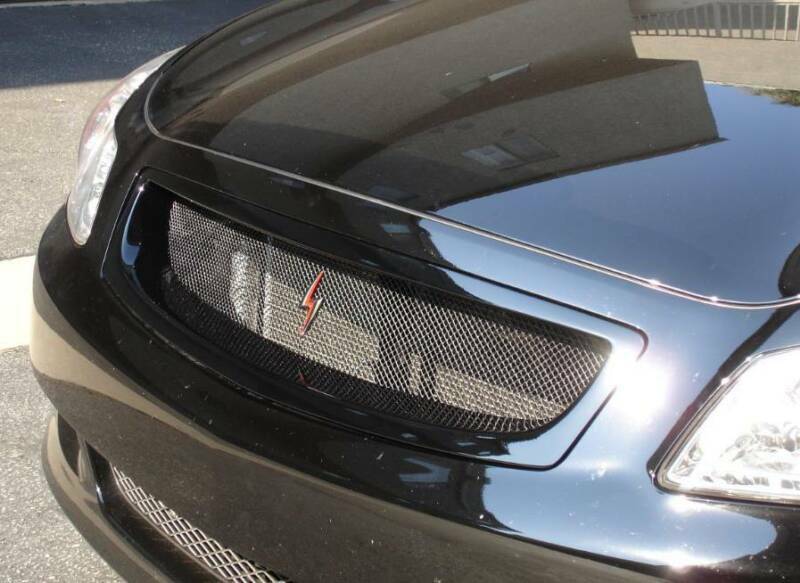 It's not difficult at all, you just need to use a rear trunk emblem and an epoxy adhesive to secure it to the mesh. Yes I can paint any color and the time frame is one week for the paint and what ever the transit time is for the shipping, 1 to 5 business days depending on your location, I'm in the West Coast. Just let me know if you are ready to order so I can send you a payment link. thanks for the info and i'll let you know soon. great customer service here guys!!!!! jose when are you gonna do front lips???? I think I'm in. PM sent! Here are some updated pics guys!! Hinten, your IP grill just came out from the paint shop and looks excellent, I will be shipping it out tomorrow, please expect a tracking number before lunch time.